This week hasn’t been the most eventful as i’ve just been prepping for holiday and my graduation, which is tomorrow. I’m so nervous about graduation, but I can’t wait to go on holiday and just relax! Started packing for holiday – As I go on holiday on Wednesday, I started packing mid last week as I knew i’d be too busy by the time the weekend rolled round, especially with my graduation next week also. I’m going to Mallorca Rocks in Maga, and i’m so excited especially as i’ll be able to see lots of my favourites such as Annie Mac! Dyed my hair – I don’t usually share this as I dye my hair pretty much every month with the same hair dye, but i’d left my hair un-dyed a little longer what with graduation and holiday coming up. This time I used a different hair dye to usual and I used the new Garnier Olia, which really impressed me compared to my usual hair dye so I may do a review on this. 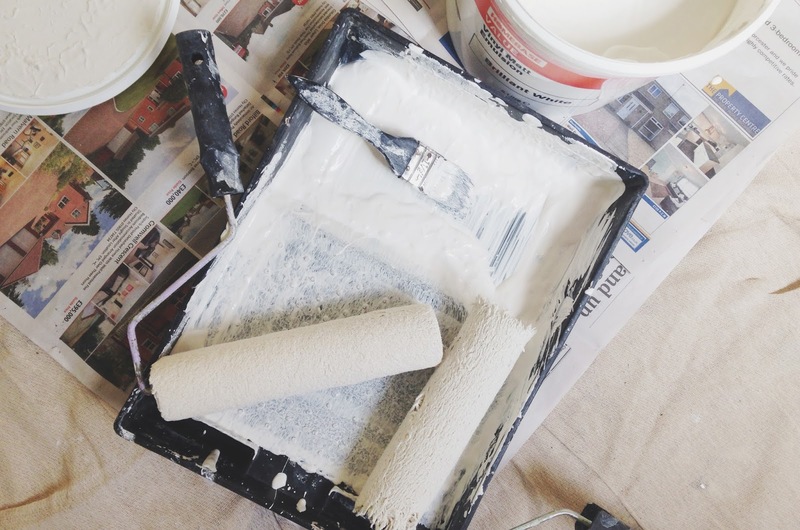 Did a spot of decorating – Being the top girlfriend I am, I helped my boyfriend begin the process of redecorating his bedroom. Everything from grouting to sanding and then finally painting. I do love little mini projects and I can’t wait to see it finished! As I go on holiday on Wednesday, I have a few scheduled posts lined up for whilst i’m away so hopefully you guys won’t miss me too much. P.S – I have a little giveaway up on my Twitter, so make sure you go and check that out if you haven’t already!